If the hint of autumn on the breeze has you feeling a bit shortchanged by summer, you’re not alone! Even if you welcome the crisp note in the air, everyone feels the effects of fall on their activities, wardrobes and personal health in one way or another. For some this transition from our bright summer days to those where damp-cold is the norm is accompanied by a form of depression called Seasonal Affective Disorder, or SAD. 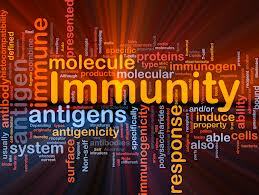 For others, it means increased vulnerability against cold and flu viruses. What’s the good news? Well, Acupuncture and East Asian Medicine can help with both. Acupuncture and East Asian Medicine can help ward off SAD and boost immunity by stimulating key points along the body’s Meridian System. These points are known for strengthening the circulation of vital substances and for consolidating the outer defense layers of the skin and muscle so that exterior pathogens – like germs and viruses – cannot enter the body so easily. Regular treatments, monthly or just at the changes of the season four times a year, act to help maintain balance in the body and maintain vital wellness. What is Seasonal Affective Disorder? People with SAD generally feel just dandy in warmer months, but start to slump during the fall and winter with absented mindedness or foggy thinking, depression, fatigue, lack of motivation and lethargy. SAD may be caused by a drop in melatonin levels in the brain caused by decreased exposure to sunlight during the winter, although modern medicine does not have an answer as to the exact cause. In East Asian Medicine, it is taken as the body’s response to an increase of Yin in the environment and is treated by helping boost the body’s internal Yang energies with acupuncture, heat therapy, dietary therapy and herbs. In western medicine SAD is treated through the use of light therapy and in some cases, antidepressants. 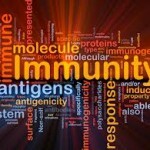 If and when you are fighting a cold, which is the body’s healthy immune response, Acupuncture can be used to help you get over it more quickly. The duration and severity of colds are greatly impacted by the use of acupuncture and herbs. Patients should try to keep their appointments if feeling under the weather as the treatment can help them heal faster, without secondary infection or more sick days. Just cover your cough, carry a tissue and come on in for some healing medicine! In addition to helping with SAD, colds and flu, most people know that acupuncture is effective therapy for other conditions, including arthritis and chronic pain, healing from traumatic injury, digestive difficulties, nervousness/anxiety and men’s and women’s reproductive health problems. Acupuncture has also been shown to balance the body’s hormonal, endocrine and nervous systems and is excellent for stress and insomnia. Given all of the above, chances are now is a good time for your next acupuncture treatment! Schedule yourself an acupuncture treatment now to maintain wellness, enhance immunity and ward off those winter blues! Wellness At The Center (WATC) exists as a holistic health resource for our neighbors in NE Portland, OR. Dixie Small, LAc founded WATC and practices Acupuncture and East Asian Medicine there. It is her goal as a health care provider to meet people where they are, and guide them in their own path to greater health. At WATC patients benefit from acupuncture, massage, chiropractic medicine, ultrasound therapy, rehabilitating stretches and exercises, herbal medicine, cupping, moxibustion and more. These modalities are proven to help them heal from chronic pain and tension including arthritis and migraine, acute traumatic injuries, frequent colds or flu, improve their mental and emotional well being and maintain vibrant health throughout the seasons. In her free time, Dixie enjoys hiking and getting outside as much as possible, as well as taking in the unique musical and cultural offerings of the Rose City.